Here at Prestige Imports, we carry everything exotic. That not only means that we have some of the most luxurious premium vehicles, like a 2017 Maserati Levante, but also some of the best-performing sports cars as well. Today, we thought we’d highlight one of those, as it has been a while. So, the vehicle we’ve taken a look at today is a 2007 Porsche 911 GT3 RS coupe available right here in our showroom. It’s stylish and certainly delivers a powerful punch. Obviously, the performance specs & features are going to be the most important in a vehicle like this. 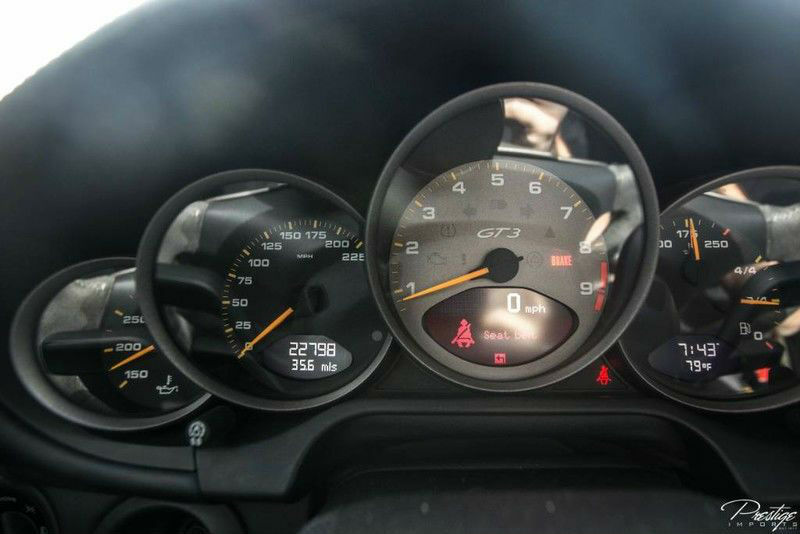 Powered by a 3.6L V6 engine, this Porsche 911 generates close to 500 horsepower while hitting 60 miles per hour in just 4.4 seconds and running a quarter mile in 12.7s. Those numbers are pretty darn impressive, and we’re stoked to be able to offer a vehicle such as this. 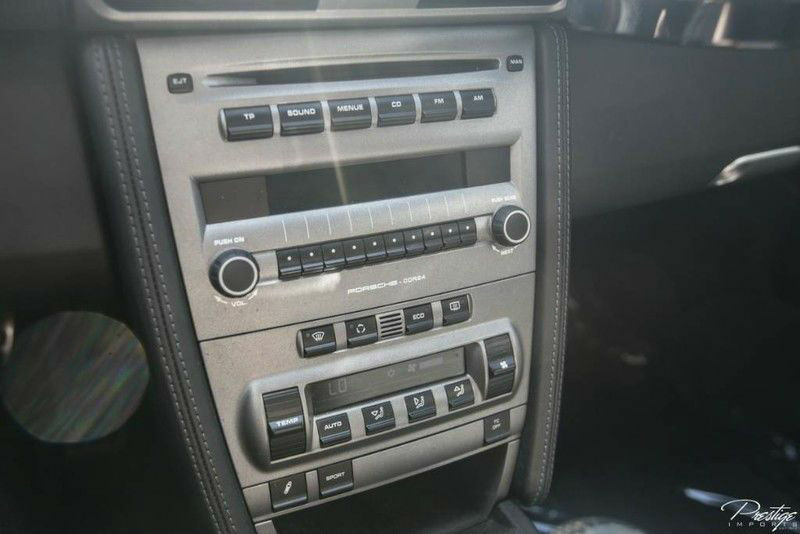 However, if the eclectic exterior and impressive performance stats don’t have you convinced, you’ll be pleased to hear that there are plenty of other great features found throughout the vehicle that might pique your interest. The coupe is outfitted with powered & heated mirrors, a powered sunroof, an alarm system that features radar interior surveillance, automatic climate control, keyless entry, Z-speed tires, a sport exhaust system, and much more. 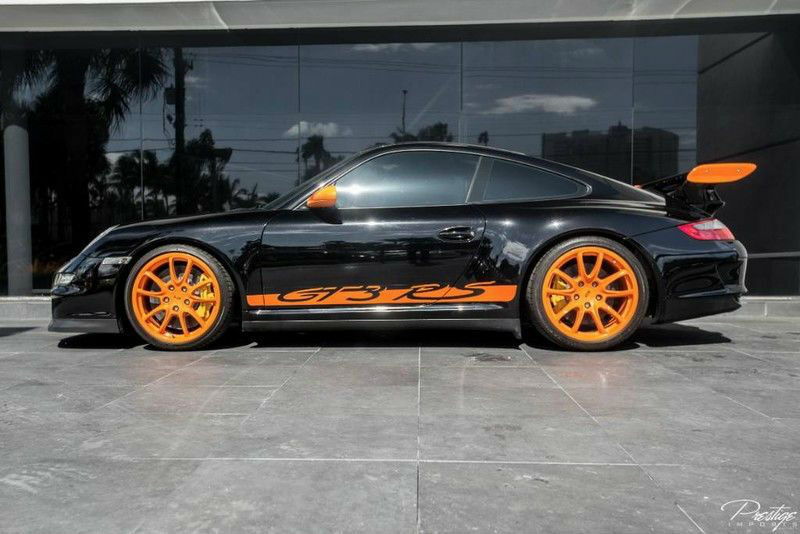 If you think you might be interested in this magnificent 2007 Porsche 911 GT3 RS, currently for sale right here in North Miami Beach, then be sure to get in touch with us here at the sales desk. We look forward to working with you and getting you behind the wheel of your dream car. This entry was posted on Friday, January 19th, 2018 at 10:30 pm	and is filed under Porsche. You can follow any responses to this entry through the RSS 2.0 feed. You can skip to the end and leave a response. Pinging is currently not allowed.